Most of the popular Linux distributions these days offer live cd so that you can feel how their distribution feels before you can install it on your computer. If boot Linux using live CD the system takes ages to boot and applications installed feel sluggish as the optical drive offers lower data transfer rates. But if the same live cd is copied to a USB drive and made bootable then the system feels real fast as if you are booting from a hard disk drive. 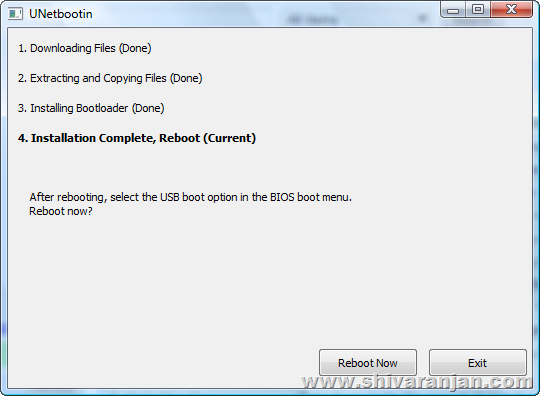 There are several ways in which you can create bootable Linux drive, some of them requires lot of steps to be followed. 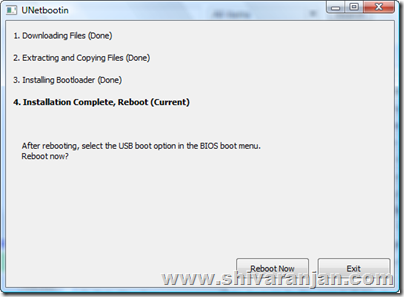 In this post we see how we can create a bootable Linux USB drive from within Windows. 3. 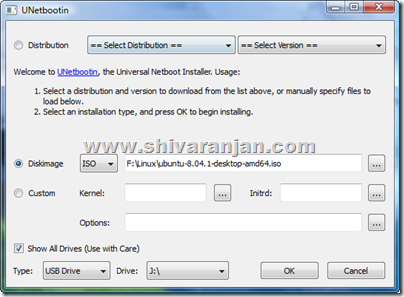 Get UNetbootin software from here. 4. A computer that is capable for booting from USB devices. 1. Download the version of Linux that you wish to install in USB drive. 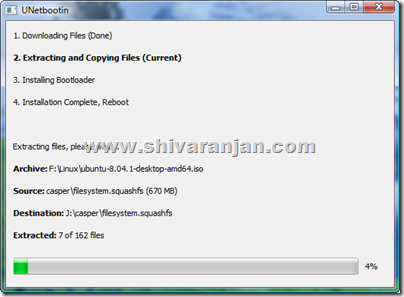 In this post we have taken Ubuntu 8.04.1 ISO file that we downloaded from Internet. 2. 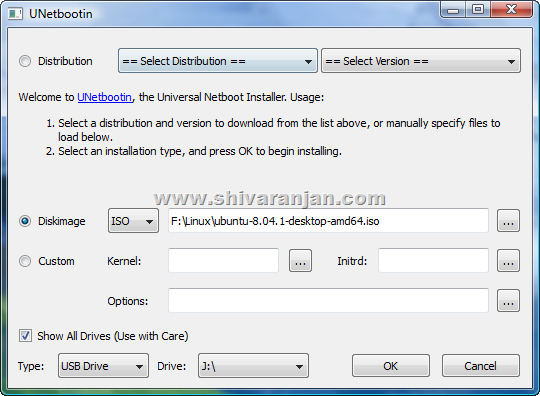 Open the UNetbootin utility and go to the second option called “Diskimage” and select ISO mode. Once these modes are selected then point the ISO file that you downloaded in step 1. 3. Make sure you that you have selected the correct USB drive of your choice where you want the Linux live CD to be copied. Warning: Make sure that you backup the data that is already existing in the USB drive as this software will erase that. 4. Once you hit the GO button the utility will start copying the necessary files to USB drive. 5. After the copying of the files is complete the utility will ask you to reboot. Now reboot your computer and boot from your USB drive. Should you have any questions feel free to ask in comments section. was good. I do not know who you are but definitely you are going to a famous blogger if you are not already Cheers! I do not even know the way I ended up right here, however I believed this publish used to be great. I don’t understand who you are but certainly you’re going to a well-known blogger in case you aren’t already. Cheers!